Virginia DUI DWI Laws Lawyer - Is Wet Reckless Driving An Option? Virginia DUI DWI Laws Lawyer – Is Wet Reckless Driving An Option? A DUI offense in Virginia can lead to an ever-lasting negative impact on your life. There are several DUI laws in Virginia and most people, including some lawyers find it really difficult to understand. Also, there are plea bargaining options such as wet reckless driving which an experienced DUI attorney can explain. In Virginia, the official term used for “driving while intoxicated” (DWI) is “driving under the influence” (DUI).  Different states in the US have different penalties for DWI and DUI but the Virginia DUI laws do not draw a distinction between the two terms. You violate the DUI laws of Virginia if you are operating a vehicle under the influence of drugs or alcohol. The blood alcohol concentration (BAC) has to be a minimum of 0.8% or more to be convicted for a DUI offense. The term used if the defendant is found guilty of reckless driving while under the influence of alcohol is “wet reckless.” This term is often used by Virginia DUI attorneys for plea bargaining and will amount to a reckless driving conviction. Though DWI and wet reckless convictions are both misdemeanors, the latter will not leave the same mark on you while a DUI offense will. When you are under the influence of drugs or alcohol. When the BAC level is more than 0.8%. If your blood concentration is 0.1 milligrams per liter or more of methamphetamine. If your blood concentration is 0.02 milligrams per liter or more of cocaine or phencyclidine (PCP). According to the Virginia DUI laws, your conviction will depend on the alcohol found in the blood known as blood concentration level. Those BAC percentages for conviction will differ depending on a person’s age and license type. If you are over the age of 21 and an officer pulls you over with a BAC of 0.8% or over then you shall be arrested. Virginia laws are based on zero tolerance; therefore, it is illegal for a person under the age of 21 to drive with a blood alcohol concentration of 0.2% or more. Commercial drivers (CDL) will be arrested for a DUI if their blood alcohol concentration is found to be more than 0.4%. In some cases, where it might be hard to prove the defendant’s blood alcohol levels, the prosecutor may offer a plea bargain for wet reckless driving. In that case, the judge may find you guilty of reckless driving in Virginia and impose penalties similar to those in a Virginia DUI conviction. This usually happens after you are slapped with DUI charges but either by plea agreement or after a trial, the defendant you shall be termed as guilty of reckless driving. In Virginia, there are no laws that recognize a wet reckless charge. But Virginia Code section 46.2-392 states that any person who is believed to be under the influence of alcohol or drugs while being convicted for reckless driving, on convictions are subject to enter and successfully complete an alcohol safety action program. Under Virginia’s DUI laws, if you are under the age of 21 and are charged with driving under the influence with a BAC of at least 0.2% or more than you may face suspension of license for up to one year from the conviction date, minimum fine of $500, minimum of 50 hours community service, and will be required to attend an alcohol safety program and a likelihood of having a limited driver’s license. Virginia classifies DUI charges by offense numbers. The punishment for the same will depend on what their DUI charges are classified as. The punishment for drivers over the age of 21 will depend on the offense number, the time period and the blood alcohol concentration. For a first offense DWI conviction, result in administrative license suspension for one week, a fine ranging from $250 to $300, license revocation for up to a year, any court-ordered restitution, possibly attending an Alcohol Safety Action Program (ASAP), possibly having a restricted drivers license, possible ignition interlocking device and a criminal record. Similarly, for a second offense DWI conviction, they may face the Administrative license suspension for 60 days, minimum fine of $500, indefinite license revocation, and any court-ordered restitution, possibly having a restricted driver’s license, possible ignition interlocking device and a criminal record. If the second offense occurred within 5 years period from the date of the first offense then there is a mandatory prison sentence ranging from one month to one year. If the second offense occurred within 5 to 10 years of the first offense then there is a mandatory minimum of 10 days in jail. For a third time DWI conviction in Virginia, they may face the following : They may be subject to an administrative license suspension until the trial, may also impose the indefinite license revocation, may also be directed to attending an Alcohol Safety Action Program (ASAP), possibly having a restricted drivers license, possible ignition interlocking device, a minimum fine of $1000, apart from the court may ordered for restitution, and a felony charge which means the defendants vehicle is subject to seizure and forfeiture. If the third offense occurred within a period of 5 years from the previous offense then he will get a jail sentence of maximum of 6 months. If the third offense occurred within 10 years of the previous offense then he will get 90 days in prison. For the fourth offense DWI conviction in Virginia: They may be subject to an administrative license suspension until the trial, indefinite license revocation, a fine of $1000, any court-ordered restitution, one year imprisonment, possibly attending an Alcohol Safety Action Program (ASAP), possibly having a restricted drivers license, possible ignition interlocking device and a felony charge which means the defendants vehicle is subject to seizure and forfeiture. In Virginia, a wet reckless driving charge carries lesser penalties than a DUI. It also allows a person to not have a DUI on a criminal record. For a wet reckless conviction in Virginia, a person may face the following penalties: his license may be suspended up to 6 months, lesser fines amount as opposed to the high fines a person may face in a DWI and attending an Alcohol Safety Action Program (ASAP). For a conviction of wet reckless rather than a DWI, he will most likely avoid jail time. The punishment for the wet reckless are less severe than those of a DWI. The defendant will walk away without a DWI on their record. This is important as multiple DWI convictions will increase the severity of the penalties. For the first offense DUI: they are subject to an additional 5 days in jail. For the second offense DUI: Occurs within a period of 10 years of the first offense they are subject to an additional 10 days in jail. For the first offense DUI in Virginia: Additional 10 days in jail. For the second offense DUI in Virginia: if within 10 years of the first offense they are subject to an additional 20 days in jail and a $500 fine. They are subject to an additional 5 days in jail and a fine ranging from $500 to $1000. 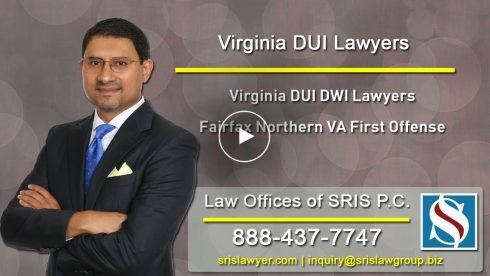 Mr. Sris is a skilled DUI lawyer who has defended numerous Virginia DUI Cases. He routinely tries to help clients get a DUI amended to a wet reckless driving.